Where is the oversized cup of coffee in Fortnite? Perhaps you’ve just pulled another all-nighter in your PvP game of choice and you need a pick-me-up. Equally, you might just want that bit more focus and concentration to get that elusive Victory Royale. Either way, you’re going to need to find Fortnite’s oversized cup of coffee to, er, dance on? Regardless, this especially stimulating mission is the second part of a wider week 9 challenge. This is a task in three parts, and you’re going to want to finish off all three parts to get as many Battle Stars as possible. So, to help you do just that, we’re going to show you where to find an oversized cup of coffee in Fortnite. 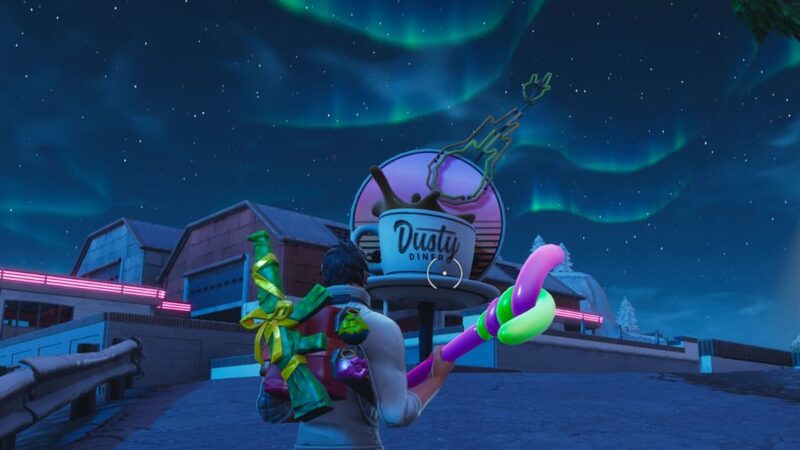 This cup of caffeinated goodness can be found in the overgrown named area of Dusty Divot. We’re going to my diving and gliding down to the tasteful diner attached to it so we can wake ourselves up to complete the rest of our weekly tasks. 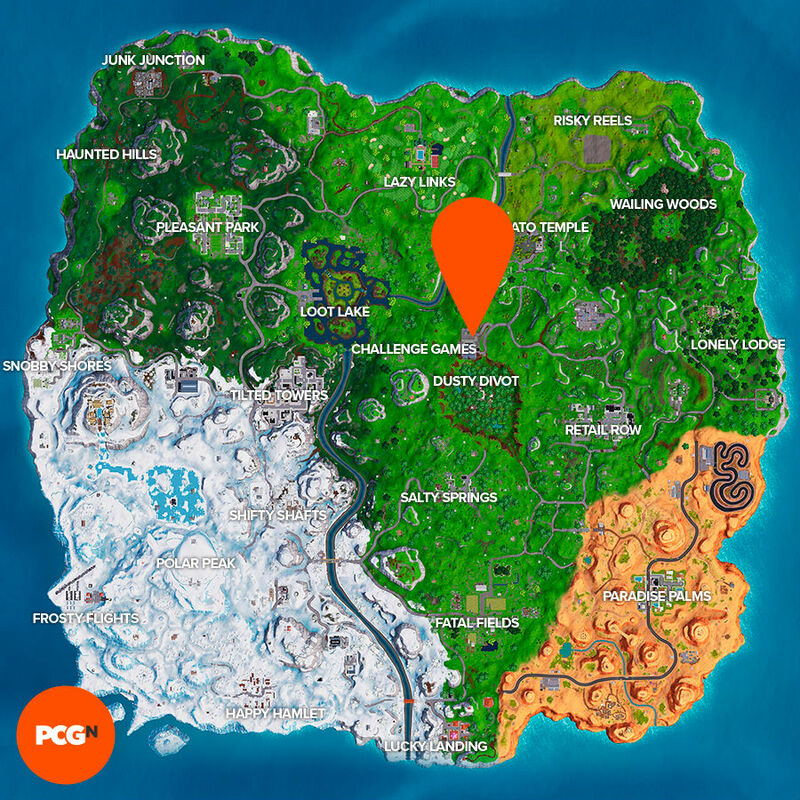 So, let’s get to the good stuff: below you’ll find the Fortnite oversized cup of coffee location. To find the mug of black – or white, depending on how you take it – goodness, you’re going to need to launch from the Battle Bus in the direction of Dusty Divot. 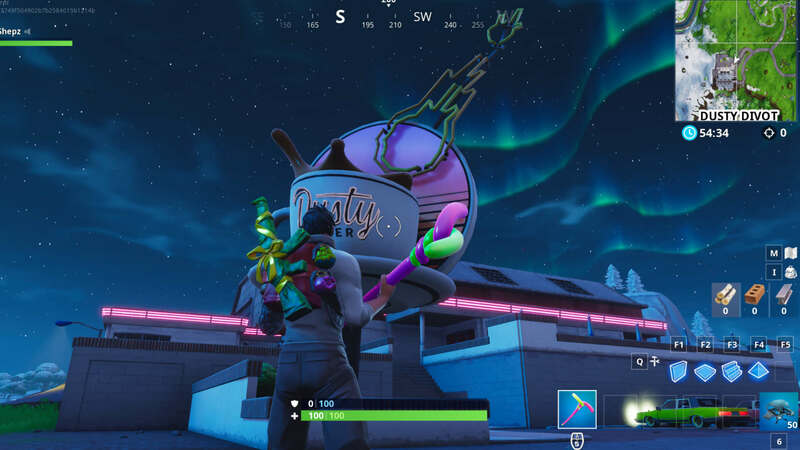 In case you didn’t know, there’s a diner on the other side of the building overlooking the tree-dotted crater in which to get away from the battle. To make it even easier for you, below we have a map and a screenshot of its location for you. And that’s that, the exact place where you can find the Fortnite oversized cup of coffee. We dread how big the sugars would need to be, but that’s a problem for another time. Anyway, we hope you found this guide stimulating – if not, perhaps we should’ve popped a couple more scoops of quality content in. That said, hopefully we’ve done better with the other guides we have for you to help you out with the rest of your season 7, week 9 challenges. For instance, here’s some tips to help you complete three Fortnite plane timed trials. For now, we’d best take a break from the coffee: we’re getting the caffeine shakes.